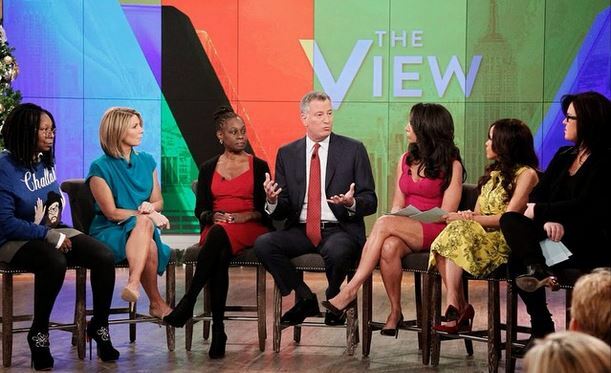 The View may be canceled by ABC, according to a new report, with Good Morning America extended to replace the airtime. Network insiders told the Daily Mail that the current season–its 18th–could very well be the last, amid declining ratings and fighting among the cast. “The brass at ABC feels like they’ve tried to do everything possible to breathe new life into this show,” one insider said. The management moved it from the ABC Entertainment Daytime division to the ABC News division, but that hasn’t helped much. Neither has multiple changes to the set, a new introduction, or a shift to softer topics. They’re ready to abandon ship at this point,” a source said. Good Morning America typically starts at 7 a.m., and runs for about one-and-a-half-hours. The View comes on at 11 a.m.
One idea is to extend GMA another hour or two, with the relaunch of Good Afternoon America, which initially launched in 2012. “The idea to bring back Good Afternoon America is something that’s strongly being considered. They believe the success of GMA could carry over right into that 11 a.m. slot that The View currently holds,” one insider said. Lara Spencer and former anchor Josh Elliot and the GAA show did well, and the network would like to bring it back. Spencer would return in such a scenario, paired with one of the newer GMA contributors such as Ryan Smith or T.J. Holmes. “They plan on shooting some test shows in the coming weeks to freshen up the Good Afternoon America concept. They plan to shoot a few pilot episodes following GMA going off air and retooling the show just in case they need to have it ready for a late summer launch,” one source said. “They’ve changed the set three times this season, have brought in guest hosts, are contemplating bringing back former panelists and are doing anything and everything to try to find a rhythm with these women, and it just isn’t working… ‘The View’ is too expensive to be a sinking ship,” a source said.